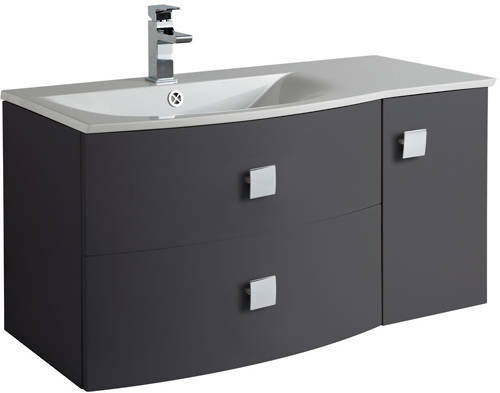 Hudson Reed Sarenna 1000mm wall mounted left handed vanity unit in graphite finish with 500mm floor standing WC unit and 350mm wall mounted tall storage unit. Soft close drawers and doors (self close). 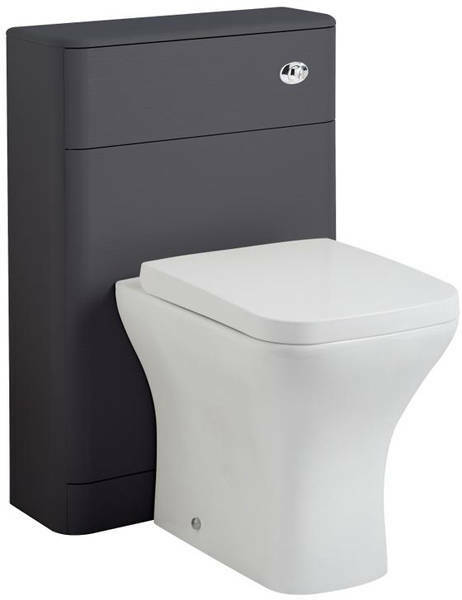 Back to wall WC unit included (toilet pan and cistern are not included). Wall mounted tall storage unit included. Vanity unit size: 1012W x 500H x 504D mm. WC unit size: 500W x 800H x 200D mm. Tall unit size: 350W x 1200H x 250D mm. 5 Year guarantee: Hudson Reed guarantee these Sarenna bathroom units for 5 years. The new Hudson Reed Sarenna collection combines modern appeal with soft rounded lines. 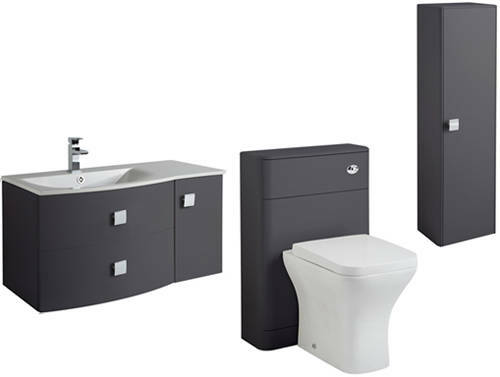 This stunning furniture will make a stylish focal point in any bathroom, offers a choice of practical storage options, combinations and finishes. Sarenna basins have been designed so that an LED lighting strip can be fitted underneath the front lip - creating a real wow factor!